The list of the new H2020 project in robotics from Call 3 2016 and the call under Societal Challenges 2016 is ready. The 17 robotics projects funded under Horizon 2020 will work with a wide variety of research and innovation themes: health robotics, autonomous cars, industrial robotics and logistics to events media productions. An.Dy: Safety certified robots with the ability to react to unintentional contacts (co-bots). Badger: Autonomous underground robotic system that can drill, manoeuvre, localise, map and navigate in the underground space. Co4Robots: Different multi-tasking robots with varying capabilities deployed to provide services such as object handling/transportation, or pickup and delivery operations. CYBERLEGs Plus Plus: powered robotic ortho-prosthesis to help restore mobility allowing amputees to perform physical activity. Dreams4Cars: Focusing on rare events, such as near miss car accidents the robots can develop safe behaviours for hypothetical/unexperienced situations. HEPHAESTUS: Cable-robots using 3D to help with high risk and critical construction tasks such as prefab wall installation. 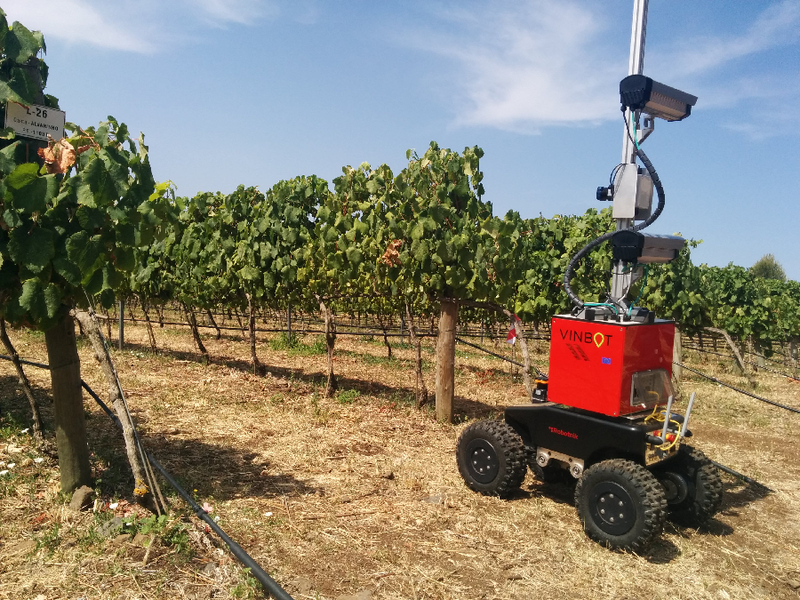 ILIAD: Flexible and rock-solid reliable intra-logistic systems, which can be quickly deployed and integrated in current warehouse facilities, in particular in the food sector, yet guaranteeing safe operation in environments shared with humans. IMAGINE: The project seeks to enable robots to understand the structure of their environment and how it is affected by its actions. MULTIDRONE: multi-drone platform for media production to cover outdoor events with improved robustness, security and safety mechanisms. REELER: Tackling major societal concerns the project will formulate guidelines in the REELER Roadmap for distributed responsibility among roboticists, users/affected stakeholders and policy-makers by closing the current gap between these. REFILLS: A robotic systems able to address the in-store logistics needs of the retail market. RobMoSys: The project proposes composable models and software for robotics systems building an open and sustainable, agile and multi-domain European robotics software ecosystem. ROSIN: The project aims to create a step change in the availability of high-quality intelligent robot software components for the European industry by building on the existing open-source “Robot Operating System” (ROS) framework and leveraging its worldwide community. ROPOD: Cost-effective and human-friendly automated guided vehicles (AGVs) for logistic tasks. SMARTsurg: Smart wearable robotic tele operated surgery focusing on real-world surgical scenarios of urology, vascular surgery, and soft tissue orthopaedic surgery. VERSATILE: Flexible robotic cells with dual robot arms that can adapt automatically to the high number of different products in industries such as automotive, aerospace and handling and packaging. You can read more about each project chosen for funding here.